Leicester City are set to travel to Burnley on Saturday evening to take on the Clarets at Turf Moor. Burnley currently sit in 17th place in the Premier League, just two points off the relegation zone. Leicester on the other hand, are sitting comfortably in tenth place and three points will see them jump above West Ham to ninth in the table. The matchup will be the final game for both teams before a two-week international break. Check out 90min's preview of the Premier League match between ​Burnley and Leicester at Turf Moor on Saturday. Burnley will be without forward Jonathan Walters and midfielders Aaron Lennon and Steven Defour, who are all our due to various injuries picked up throughout the campaign. Tom Heaton and James Tarkowski have earned a call-up to the England national team for the upcoming European qualifiers and the two will be hoping to impress Gareth Southgate in the final game before the break. 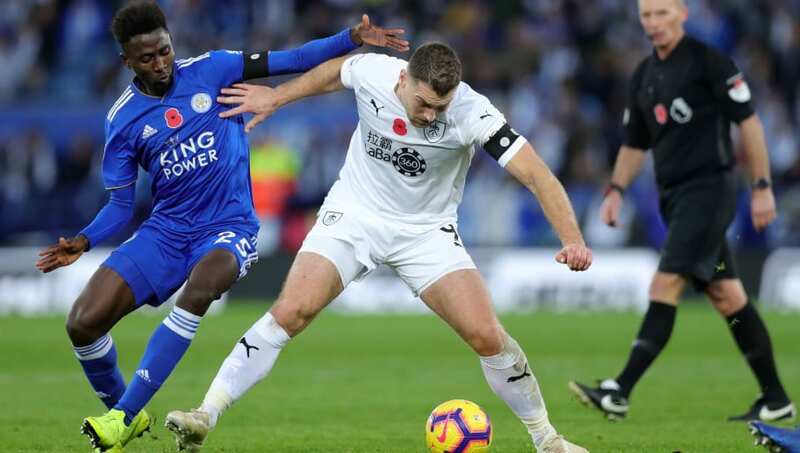 Leicester City will continue to miss midfielder Marc Albrighton due to a hamstring injury suffered at the beginning of February and Daniel Amartey who is still recovering from ankle surgery. The Foxes have started relatively strong under new manager Brendan Rodgers and will hope to build off their 3-1 Premier League win against Fulham in their last time out. Burnley and Leicester have a long history dating back to their first matchup in 1897. The Clarets claim the head to head record over Leicester with 45 wins in 111 total games between the squads. Leicester have won 35 times and the teams have drawn the remaining 31 matches. The games between the clubs have been pretty low-scoring in recent memory, highlighted by a 0-0 draw during their last matchup in November. The teams have split their previous five meetings with each squad winning two matches and the aforementioned draw being the only stalemate between them. Burnley have lost their previous three matches by a combined score of 9-3 and have not looked good in recent weeks. Prior to Burnley's 3-1 loss against Crystal Palace in their last home match, the Clarets had been undefeated at Turf Moor since the end of December. Sean Dyche will rely heavily on his team's home record to secure three points in this match. Leicester City have been adapting to a new system under Rodgers but played well in their previous match. After a particularly disappointing defeat to Watford courtesy of an Andre Gray stoppage-time winner, the Foxes were able to bounce back and convincingly win 3-1 when they hosted Fulham at the King Power Stadium. While recent meetings between these two sides have lacked many goals, Burnley has allowed just about every shot to go in during their current run of form. Despite the previous match between the sides ending in a goalless draw, expect to see many more goals in this matchup, with Leicester looking much more dangerous under Rodgers. Burnley will have a lot to do to slow down James Maddison and Jamie Vardy, and will rely heavily on Tarkowski and Heaton in this matchup. The England internationals will be expected to perform for both squads, but expect Leicester to get the best of Burnley in this matchup.